How Long Does it take to become a sheriff in California? Sheriffs are responsible for enforcing local, state and federal laws within their designated counties. These officers serve the public by deterring crime, through prevention and intervention, making arrests and supervising detainees. 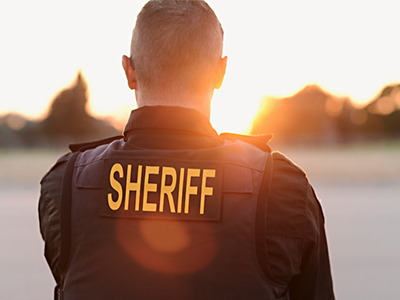 If you are interested in seeking a career in police and especially if you want to become a sheriff, there are a few simple steps you will need to follow. To enter this field, you will need to meet certain criteria. The following table will give you an overview of everything you need to know before entering this field. Step 1: Get a High School Diploma or Equivalent: This is the minimum level of education that you will be required to have if you are an aspiring sheriff. Even while you are in high school, focus on relevant subjects such as physical education, problem-solving skills and communication skills. This would be the ideal time to get in touch with your local sheriff’s department and seek guidance on your potential future path. Step 2: Graduate from a Police Academy: You will need to graduate from a police academy before you move on to becoming a sheriff. The training program would usually take around 3-6 months to complete and will include theoretical and practical knowledge on topics such as crime scene management, firearms training, criminal law, crowd control and vehicle operation. According to the US Bureau of Labor Statistics, aspiring law enforcement personnel need to pass physical, background, written and physiological tests to enter this field. In addition to that, they need to be at least 21 years of age. Step 3: Get Some Law Enforcement Experience: Getting into the field directly at the position of a sheriff might be a little difficult. Typically you would have to go through a certain hierarchy. While on your way to the ladder up, it would be wise to build a good service record. This would likely increase your chances of being elected for an open position. Step 4: Consider Higher Education: While it is not an absolute requirement for sheriffs to have higher education degrees, it is certainly a huge plus point. You might want to consider going for a higher education degree in criminal justice. You can go for an associate, bachelor or even a master’s degree. Step 5: Apply to a Sheriff´s Office: For this, you will need to do a little bit of research to see if the local sheriff’s offices are hiring or not. Bear in bear that the appointment or election of sheriffs is done based on the states laws. Be sure to regularly check the National Sheriff’s Association website for job openings and new information on the application process. If you want to consider a career in this field, you need to be aware of some industry statistics for it. Have a look at a few major ones. Make sure you carry out the right amount of research before you enter into this field so you have a good idea regarding what is required of you. Q: How to Become a Sheriff in California? Ans: There are five different counties in California – Los Angeles County, Orange County, San Bernardino County, Riverside County and San Diego County. Q: How Long Does it take to become a sheriff in California? Ans: This includes the application, written test, physical ability test, interview, documentation, background check, administrative review, medical and psychological test and the training academy. A maximum of three weeks are required in between each task for information processing and review. The timeline may vary from county to county, but generally, it remains within this range.